Litter is a big problem in Kentucky. In a year’s time, all the bags of litter would stretch four- hundred plus miles…from Paducah to Pikeville. 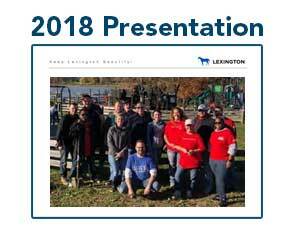 Keeping Lexington a clean place to live is a massive job that costs hundreds of thousands of dollars, and involves an army of people. We wanted to see for ourselves, what it takes to make our city, litter free, and where some of the biggest trouble spots are located. It doesn’t take a genius to see Lexington is exploding in growth. The latest population number for the city shows a jump of 47-thousand people in the last ten-years…up to 318-thousand. And with that growth comes bigger city problems like littering and trashy streets and property. Plueger is on a mission. She leads and helps organize an army of people who pick up trash, including city employees, contracted crews, volunteers, non-profits, inmates, and most recently, panhandlers looking for work. Right now “they’re” picking up litter twice a week, and it’s adding up. The numbers are pretty staggering. 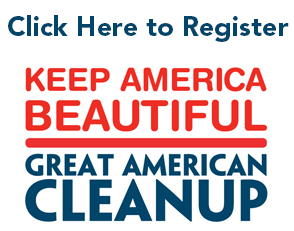 This year contracted litter crews are expected to pick up 50 tons of trash, non- profits in a program called Adopt-a-Spot, 18-tons, Great American Cleanup volunteers, 37-tons, inmates, 17-tons, and city workers, 23-tons. 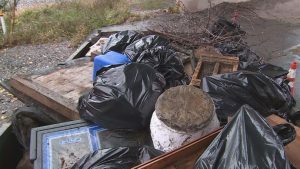 Add the panhandler’s program operated by New Life Day Center, with 38-tons, and you have a grand total of 183-tons of litter, picked up in a year, just in Fayette County. For some perspective, that would equal 36 elephants, each weighing about 10,000 pounds. Some of the common places that collect trash are under bridges, along fences, rail road tracks, alleys, and at convenience stores. For example, this is under the West Main Street bridge, just past the Lexington Cemetery. Often contract crews are hired to do the work. They’re not city employees. Major roads in and out of town like Leestown Road are called corridors, and are hot spots for litter. On this day a crew of inmates from Fayette County Detention is picking up trash. Martie Deering is doing time for drug possession. For the litter survey, Lexington is divided up into sectors that each contain ten areas. 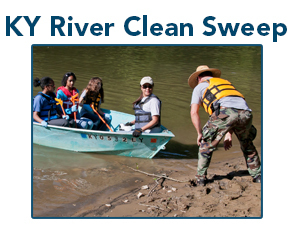 Volunteers drive through each area, and score it by how much litter they see. The scores are averaged for the ten areas, and each sector receives a final litter score. At the round about at Old Frankfort Pike and Alexandria, city crews are cleaning up the road gutters by removing grass in the cracks, and shoveling up debris that includes cigarette buts.This does two things: makes the road cleaner looking, like this section right here, and keeps the cigarette buts from eventually ending up in our water supply. The price tag for all this work is at least 300-thousand dollars…half is budgeted from the city, and the rest through the KY Pride Litter Abatement Grant. If you see piles of trash, the city needs your help. 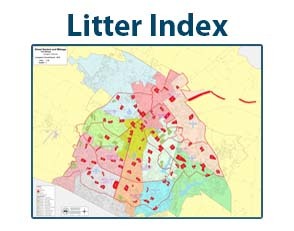 To check out the litter survey from this year, go to wkyt.com. Watch the WKYT story here.